OCEANSIDE — After signing new lease agreements that allow two sport fishing companies rights to operate in the harbor, Helgren’s Oceanside Sportfishing and Oceanside Sea Center began the move into their new business addresses Dec. 1. 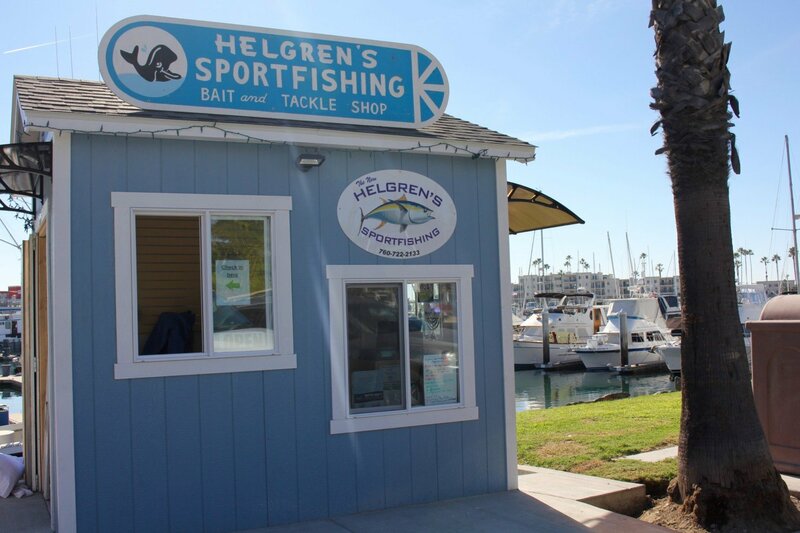 Long-standing Helgren’s Oceanside Sportfishing continued business operations through the move from its former address at 315 Harbor Drive to its new address at 1350 Pacific Street on the oceanfront side of the harbor. Both sport fishing companies also operate from dockside kiosks in the harbor village. Michael Duff, corporate counsel for Helgren’s Oceanside Sportfishing, said the company’s kiosk location north of Joe’s Crab Shack provides closer and longer-term parking for customers than the former building site. Helgren’s Oceanside Sportfishing leases one dock space there and another dock area at its office address. The company operates five boats. Three are overnight sport fishing vessels and two are charter vessels. Helgren’s Oceanside Sportfishing has had an average of two sport fishing boats go out daily and bring back the maximum allowance of bluefin and yellowfin tuna. During the unexpected good fishing, staff put in electrical and finished the interior and exterior of the dockside kiosk so seamless operations could continue. Next a storefront will be set up in the new 330-square-foot office space within the Coast Guard building to serve an additional set of customers on the west side of the harbor. Plans are to offer a full tackle shop, bait sales and fishing pole rentals to harbor beach visitors. Bicycle rentals are also being considered. The company will continue to provide sport fishing trips and charter boat services. Oceanside Sea Center is in the process of moving into the 2,900-square-foot building formerly occupied by Helgren’s Oceanside Sportfishing. Currently new plumbing is going in. “We’re getting there, but we’re not in the building yet,” Ernie Prieto, Oceanside Sea Center partner, said. It is expected to take until May to complete renovations. Plans include adding energy-efficient windows and doors, LED lighting, security cameras, public art and an aquarium. Like Helgren’s Oceanside Sportfishing, Oceanside Sea Center has felt the crunch of the rapid schedule to move in and begin business. The new company began boat operations last week with two burials at sea and a fishing trip. Oceanside Sea Center leases five dock spaces and currently operates three boats. Both companies have 10-year lease agreements. Duff said it is still uncertain if the harbor can support two sport fishing companies, but time will tell.